Labor Day is less than three weeks away and last minute travelers are still looking for the right destinations. Although most people have the beach on their mind, many of the major cities offer much to do for a weekend getaway. Here are six that will keep you busy this Labor Day. With the humidity, temperatures in D.C. can feel well over 100 degrees in the peak of mid-summer, which can make touring the city on foot quite uncomfortable. However, by the time Labor Day rolls around, it’s a bit less humid and the city is less crowded. With so many museums, monuments, and landmarks in such a close vicinity, September is a great time to walk around and explore the rich history of the Nation’s Capitol. Before the almost unbearable cold and notoriously chilling winds help Chicago live up to its nickname of the Windy City this Winter, it’s a great place to visit in September. There is plenty to do, including endless shopping, excellent cuisine, and enough unique architecture around the city to tilt your head sideways all day. You’ll want to take your picture in front the world-famous Cloud Gate, more commonly known as the bean and end your day on the 96th floor of the Hancock tower with a breathtaking view of the city. As almost everyone in Manhattan heads out to the Hamptons for the weekend, Labor Day is the perfect time to head into the big apple. This is one of the few times a year the city doesn’t feel too crowded and flights are normally cheaper to New York in the summer. You are able to walk the streets with some room to breath and the lines aren’t quite as long at the city’s best restaurants. Much like Washington, D.C., the temperatures begin to drop around Labor Day and as the tourists exit the city, the prices tend to drop as well. 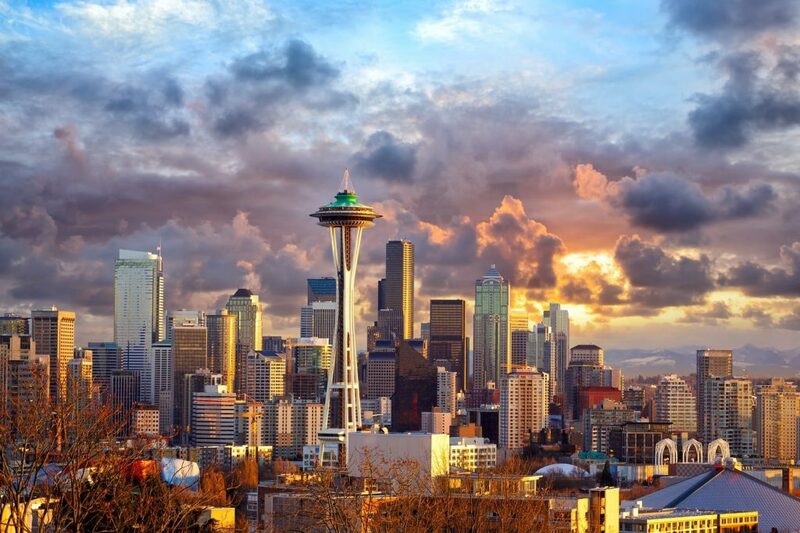 A much more laid back feel than most major cities, Seattle offers a welcoming vibe from the locals, beautiful scenery, and of course, the best coffee around. Labor Day is one of the most popular weekends for party-goers to head to Las Vegas. Pool parties are in full force with big name DJ’s scattered throughout Sin City. The prices are high and the casinos/clubs are crowded, but that scene is normally what you go to Las Vegas for anyway, isn’t it? Not that there ever really is a “quiet” time in South Beach, but Summer is probably the closest thing to it. Prices drop on hotels, flights and most other things in Miami throughout the Summer, but they turn up the heat at Labor Day. Festivals, yacht parties, and some big name concerts help Miami transition into the busy fall season again. Each of these cities can offer plenty of fun and Magellan Jets can help you get to whichever one you choose. Check out our charter and membership options for all of your travel needs this Labor Day.